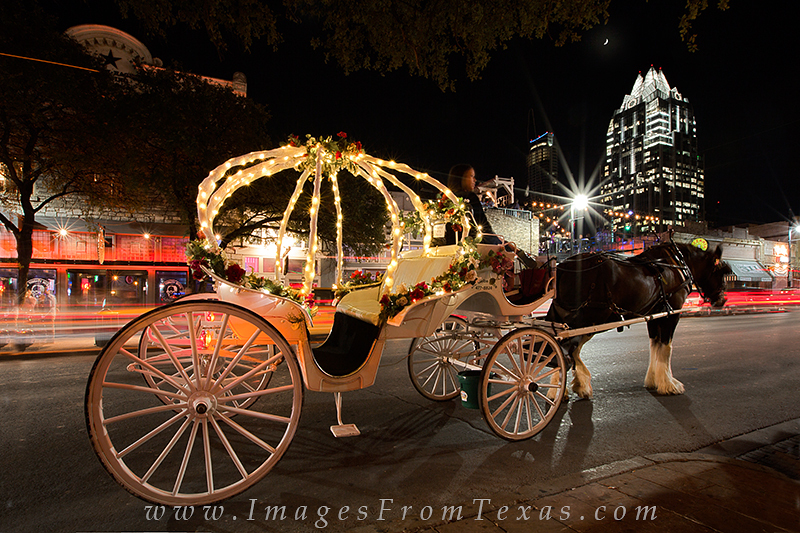 This horse drawn carriage along Sixth Street near downtown Austin, Texas, can give you an evening ride through the vibrant music district. In the background rises the Frost Bank Tower and the Austonian, two well known high rises in the skyline of downtown. Photo © copyright by Rob Greebon.